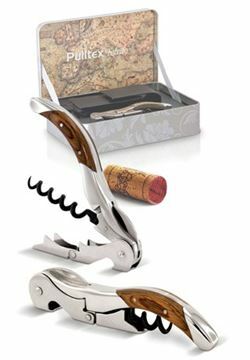 Pulltex is the most important brand of wine accessories covering a wide range of corkscrews and other wine accessories for professionals and wine lovers. 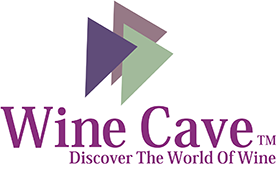 Thanks to more than 20 years of experience in this field, it now occupies a market leading position. Pulltex brand appears on the market with a smaller range of wine accessories and with the idea of making the wine service better and easier. After the first articulated double lever corkscrews, called Pulltap's, was launched on the market and presented as a completely new way of uncorking a bottle of wine, the brand has spread fast across the international market, Made In Spain. 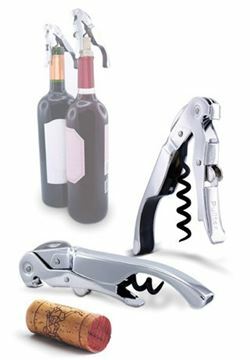 107-711-00, The rack opening of the Brucart corkscrew is the most clever and original uncorking system. It allows to extract the cork without effort. La crémaillère du Tire-bouchon Brucart est un système très ingénieux et original. 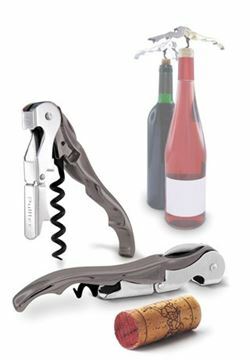 107-702-00, The Pulltap’s corkscrew double lever has revolutionized the uncorking of the wine. Le double levier du Tire-bouchon Pulltap’s a révolutionné le débouchage.